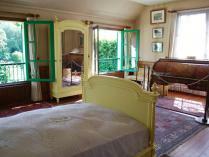 A village nestled in the heart of the Vexin, and a source of inspiration for the most impressionist of painters. A landscape gardener passionate about horticulture, an indefatigable painter and great collector: a forward-thinking artist in search of perfection. 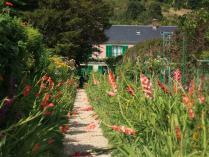 The clos normand (flower garden), and the water garden: his gardens, his masterwork. The harmony of colors, the quest for light in his studio, his boat, the nearby fields…. 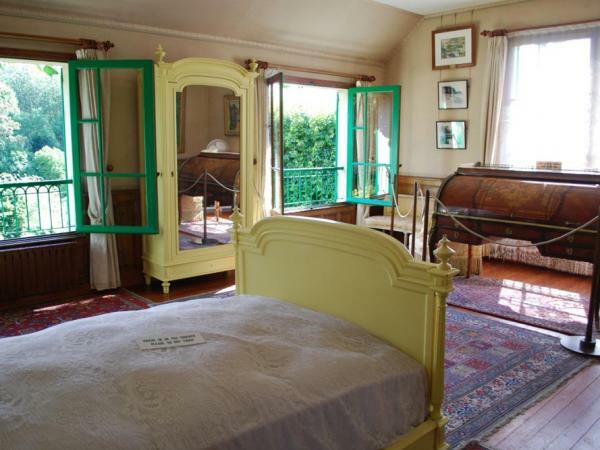 When Claude Monet glanced out of the window of his train and caught sight of the village of Giverny, 80 km west of Paris, he decided then and there that this was where he wanted to live and work. And so he did, from 1883 until his death in 1926. The beautiful surroundings, vividly colored flora, and gentle atmosphere of the place became some of the biggest sources of inspiration for his work. 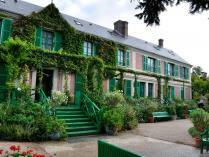 Enter the intimate world of the great epicurean Claude Monet. Share with your guide in the affection Clémenceau had for his friend, the exchanges and verbal jousts with contemporaries Berthe Morisot, Marie Cassatt, Paul Cézanne…. Tour the blue living room, the studio living room, the dining room, and kitchen…rooms reflective of his personality.